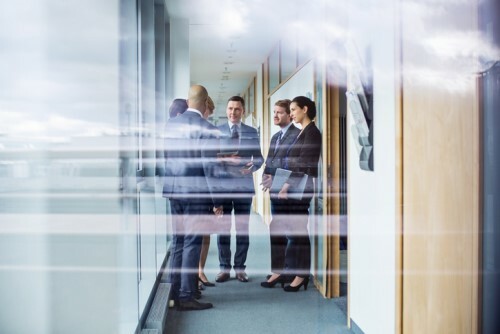 The global boom in merger and acquisition (M&A) deal-making has triggered a surge in demand for reps & warranties (R&W), tax, litigation and other contingent insurance products. The M&A insurance marketplace has expanded rapidly in line with corporate M&A activity. According to global professional services firm and brokerage giant Aon, the number of insurers offering these coverages jumped from just six in 2014 to 20 in 2018 – and the demand for specialized brokers is equally high. Aon’s global M&A Risk in Review report found that more than 34% of the North American M&A market used R&W insurance in 2017, up from 20% in 2016. Private equity buyers and sellers have a much higher participation rate than strategic buyers, but adoption rate among strategic buyers is increasing every year. Before the recent surge in the purchase of R&W insurance, deal-makers would collateralize R&W with escrow holdbacks. Simply put, they would withhold a portion of the purchase sum within an escrow fund to guarantee the outcome of R&W made by the seller. R&W insurance was initially developed as an alternative way to protect the seller, but it quickly transformed into a buyer’s product when private equity became interested in the efficiency of using insurers’ capital as a substitute collateral instrument. Fogden explained that it’s frequently more efficient to purchase R&W insurance than to strand money in escrow because insurance is less costly. Insurance brokers have become “an essential part of the M&A process,” according to Fogden. R&W insurance took a while to take off because the players in the game lacked sufficient tools to carry out appropriate due diligence and deal with the legal intricacies of the transactions, he explained. Once education among deal-makers and insurance firms improved, an opportunity opened up for brokers to support clients with deep professional resources to advise on contentious issues within a deal, relative to R&W insurance. As more and more brokers develop specialized diligence toolboxes, clients can be assured of better decisions with M&A insurance products, which will continue the boom in the market.